The main reason I still write this blog is to maintain a contact with the need or condition that drove me to read and write in the first place; a need often misdirected in pursuit of what the industry is talking about. Long silences here report stout resistance to the temptations of disinterested reception. But what is this need? Only chance can reveal it, as a fall might graze a knee. 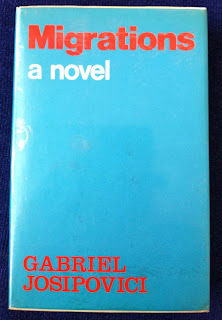 So one night at 10pm I happened to be looking for the availability of another book when I noticed a bookseller had priced Gabriel Josipovici's 1977 novel Migrations at £90. My copy is in better condition, I thought, and picked it off the shelf for an inspection. Beneath the epigram in Hebrew I had written a translation: Arise and go, for this is not your rest (Micah 2:10). Fortunately, it was in pencil and I scrubbed out the words. But why? I have no intention of selling and the copy stands for sentimental memories of my first reading as a student in January 1992: the anonymous protagonist pacing his bedroom, vomiting into a basin, drinking directly from the tap, walking about town under a burning sun, looking into shop windows at bundles of shoes tied together, slumped beneath a lamppost or over a café table with a nearby stranger offering him a cup of tea: Ere, the man says. Av some of mine. The scenes never stop to clarify a traditional back story, nor even to insert narrative conjunctions, so that the café scene in one paragraph moves straight into another in which the man is pacing to and fro in his bedroom. A scene from adulthood moves then without pause to a scene from childhood, yet not as in stream of consciousness but something less secure, less comforting, not contained within a mind but as if the meaning of each lived moment is sought in repetition and in order to resist the constant migration of mind and self. The apparent distress of the protagonist in this quest is described with a mixture of clinical distance and romantic metaphor and simile. The bulb hangs down in the middle of the room. It is lit, making the curtainless window appear like a black mirror in which only the blub itself is reflected. But the light is poor and seems to have difficulty reaching the walls of the big room. Even the washbasin and the bed are in shadow. Silence flows away from him in dark rivers. Falling backwards, in a wide arc, he stretches out his hand to grip the lamppost and encounters only air. The black sky presses on his face like a blanket. Everything flows away from him. It flows outwards and away in dark rivers. The rhythms of repetitions and returns build an uncommon presence, as if the words have been typed directly onto the page, indenting the paper with the urgency and confusion of a writer trying to catch up with the world and himself. So, soon after 10pm, I had started reading Migrations and before midnight I had read 50 pages. And this is why I read: the gifts of chance rediscovery, of being returned to real needs, which is also why I remember Thomas Bernhard, aged 19 and on the edge of death, reading Dostoevsky's The Demons: "Never in my whole life had I read such an engrossing and elemental work ... it had shown me a path that I could follow and told me that I was on the right one, the one that led out". The elemental in literature is often misconstrued from outré subject matter or writing described as raw and unmediated, yet in Migrations the elemental appears as the subjection of form and content to the logic of its title: constant becoming in constant undoing; constant undoing in constant becoming; the logic of birth and death. So the man is unnamed not in order to protect identity but to loosen the binds of identity, to allow time to colonise the means by which the identified resists time and self erasure. The man senses constant movement in everything around him – when he orders a beer it tastes of urine: "of everything that has been ejected". –First of all, he says, there is this stifling. This effort to draw breath. As if time had become a blanket someone was stuffing into your mouth and the more you opened your mouth the more blanket was stuffed in and the less chance there was to breathe. She watches him. She smiles. – Go on, she says. What man wants, he says, is to speak in the way as he eats. He wants to cry out, to talk, and then for his words to fill himself and the person he is addressing as substantially as a great big chunk of animal meat. That's what we all want. Not the one, not the other. Both together. It is a shock to any artist who has only thought of getting things 'right', of pinning down that elusive feeling which is the source and end of all creative activity, to wake up one morning and find himself labelled 'experimental'. Yet this is what happened to me. 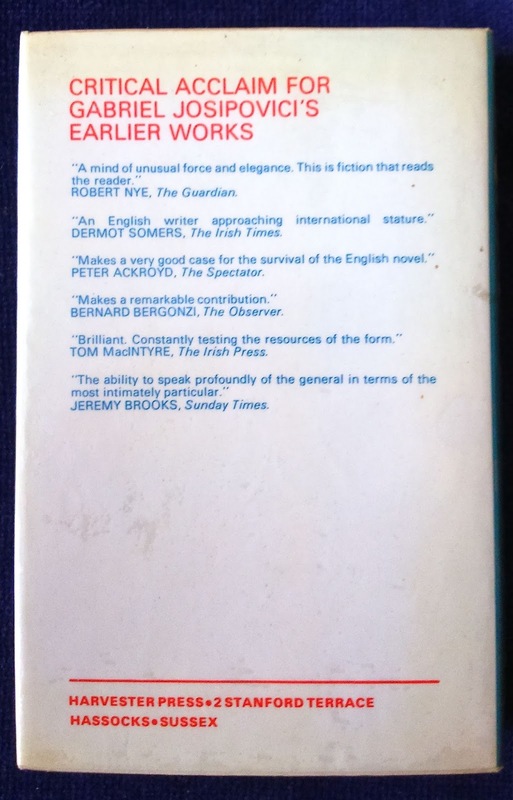 The Times and the Daily Telegraph, he says, used the term to patronise or damn with faint praise what didn't fit into the familiar round of English novels. 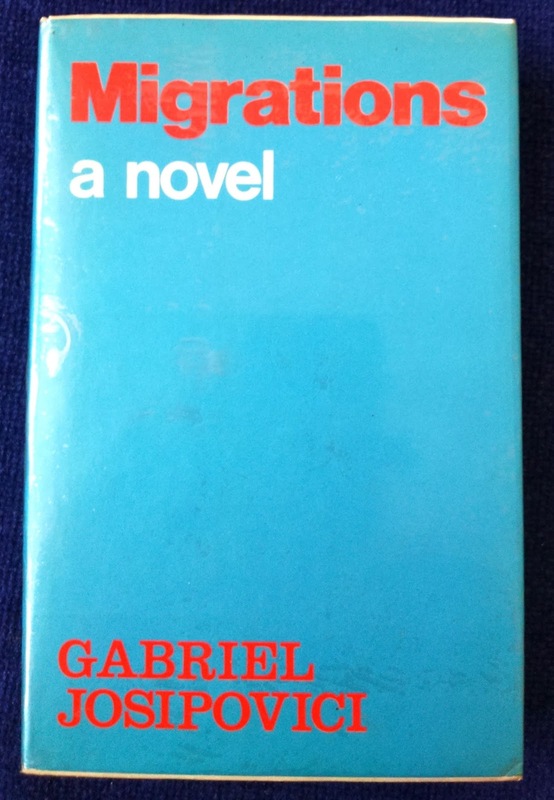 Worse, the London Review of Books referred to him as "prominent among those who are anxious to free the novel from any hampering subservience to the outer world" and having "a lingering but still severe case of the Robbe-Grillet syndrome", the first part of which makes no sense with Migrations, steeped as it is in the physical reality of London's streets, unless one assumes the novel should be a branch of reportage. The furore after the publication in 2010 of What Ever Happened to Modernism? 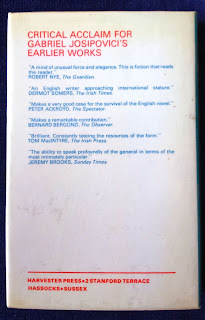 and lack of reviews, let alone major awards, for a novel as great as Infinity in 2012 suggests things have not improved. But if, like me, you wish to maintain a contact with the condition that drives you to read in the first place, there is a way to arise and go from such travesties. Watch out for your knee.